Acrow has three types of column formwork available to cover any situation. Universal panels from the Framax and Frami Xlife framed formwork ranges are ideal for forming varied cross-sections of columns in a 5cm grid. KS Hinged Columns allow for high speed, variable cross-section formwork with a folding mechanism and mobility with wheels. Faster working due to the low form-tie count, with wide spacing (up to 1.35 m) between form-ties. Easy handling and planning thanks to logical system-grid. The 15 cm grid, with 5 different widths of panel, results in optimum adaptability to every layout. High safety at your site. The accident risk is reduced, and legally compliant working conditions. 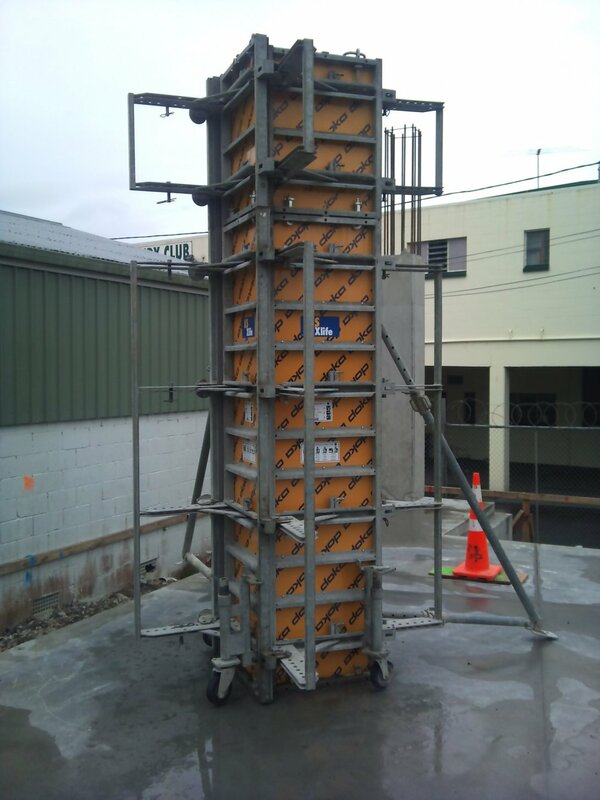 Doka column formwork KS Xlife is a top-quality, site- ready column formwork system. The formwork is easy to open and close, resulting in very short striking and set-up times. Another advantage is that there is no need for time-consuming assembly and dismantling work. Just one crane cycle is all it takes to reposition the entire formwork unit, in one piece. • When folded closed, the Doka column formwork KS Xlife panels are easy to transport and store. Com­pli­cat­ed col­umn cross-sec­tions? Large col­umn heights? Re-used cy­cles or tough spe­c­i­fi­ca­tions re­gard­ing the con­crete fin­ish? – a made-to-mea­sure Col­umn formwork Top 50 can han­dle them all eco­nom­i­cal­ly. 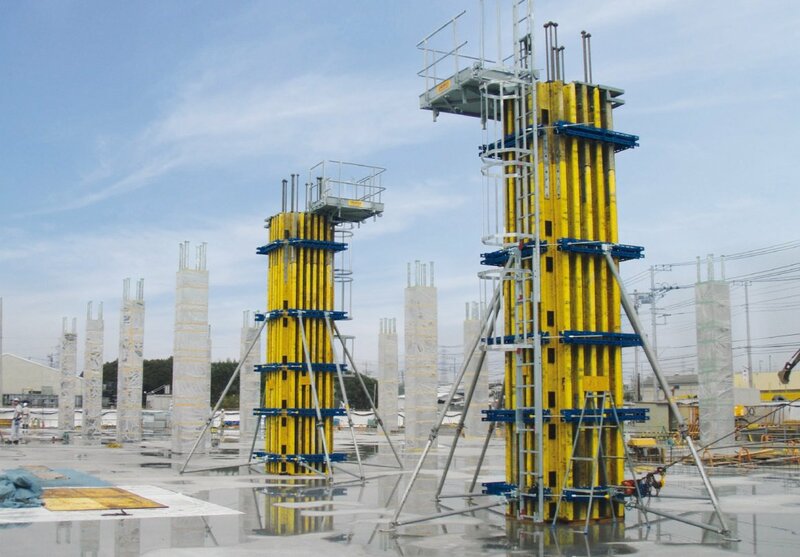 The proven Doka beams, multipurpose walings and Doka formwork sheets are also used for column form-work.